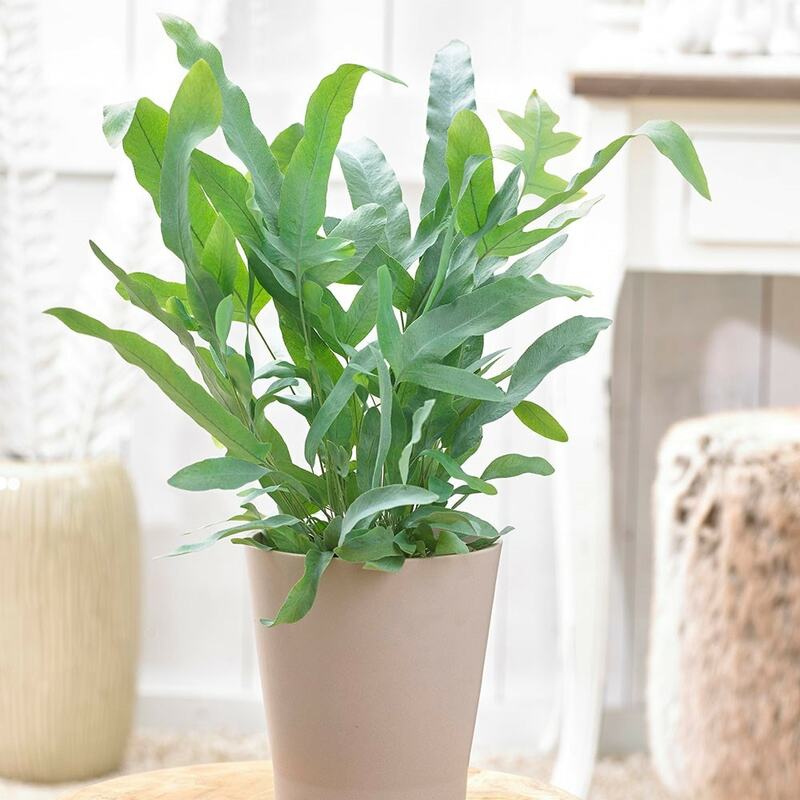 Buy Phlebodium aureum 'Blue Star' golden polypody: Unusual fern with long finger-like fronds. Pot covers: choose a 14cm pot cover to give a good fit over the pot. An interesting, and unusual fern with long finger-like fronds in a sutble blue/ green shade growing on many long upright stems. 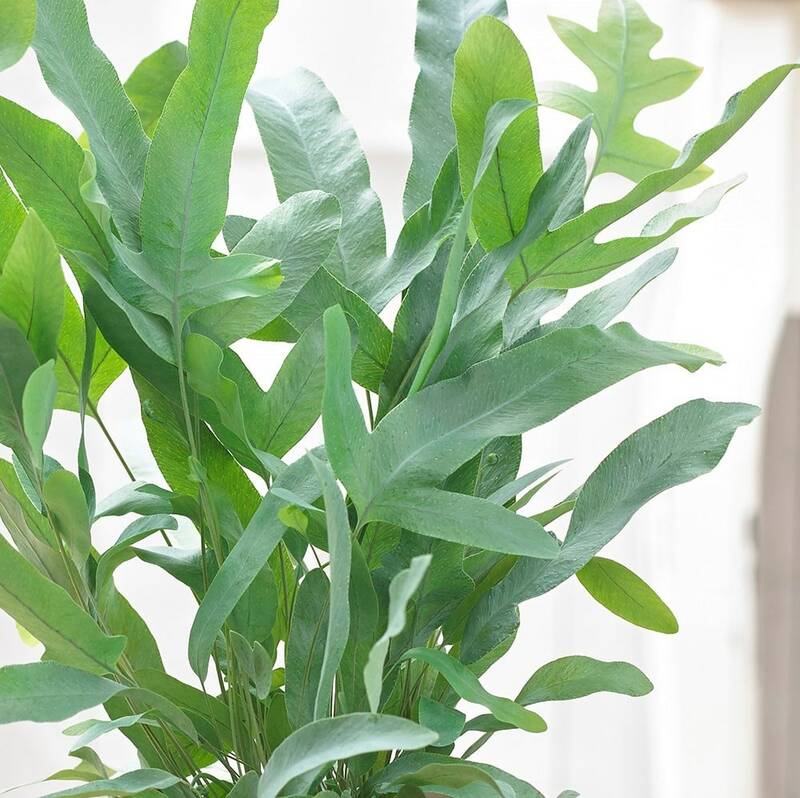 This fern naturally grows in tropical rainforests with high humidity levels, so place this in your steamy bathroom or kitchen and it should be very happy. It likes a bright spot, out of any direct sunlight, but will tolerate lower light levels making it an easy plant to look after. Please note that the pot in the photograph is not supplied with the plant (which is sent out in a black plastic pot). They do however make excellent potted plants, and if you wish to pot yours up, we do have a wide range of pots on our website to choose from. Home care: Keep the compost moist (but not waterlogged) at all times, but this can be cut back a little in winter. If you can't place it in a humid atmosphere like your bathroom you can still grow this plant, just mist the leaves regularly with water and or place the pot on a tray of damp pebbles. Love this plant. It sits in my windowsill which gets quite condensated over winter, which helps to keep the plant humid. It can sit there quite happily for a long time without even being watered. My cats have nibbled on it a fair bit and they seem to have no problem with it so not damaging to cats.